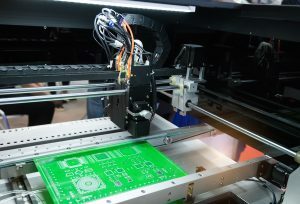 Turnkey printed circuit board assembly, kitting and manufacturing is core to what AlphaEMS offers. Whether your requirements are PCB prototyping or electronic manufacturing, AlphaEMS is your one-stop electronic manufacturing and warehousing services provider. We offer turnkey assembly PCB solutions for fully integrated electronic products that include Medical, High-End Industrial, Industrial PC, Military, Mobile/Wireless, Networking and Semi Equipment. Our turnkey PCB assembly services include material component purchasing and kitting, electronic manufacturing, inspection and warehousing. Our state-of-the-art 50,000 sqft turnkey printed circuit board assembly facility is located in Fremont, CA in the heart of Silicon Valley, minutes away from Santa Clara, Mountain View, Palo Alto, Walnut Creek and the Bay Area. We are also a short drive to major airports in San Jose, San Francisco and Oakland for fast delivery and expedited orders. Contact AlphaEMS, a full service, turnkey electronic assembly provider, today for more information.